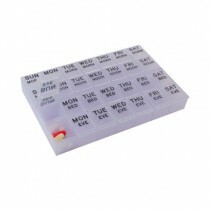 Pill organizers, pill calendars, and pill cases are all medication aids used to help patients take pills on time. 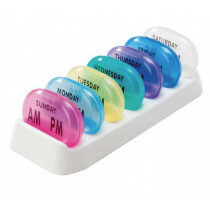 Although these pill holders can convey different meanings, they have been blended to mean the same thing—a storage compartment device to aid in dispensing medications or vitamins on a scheduled frequency. 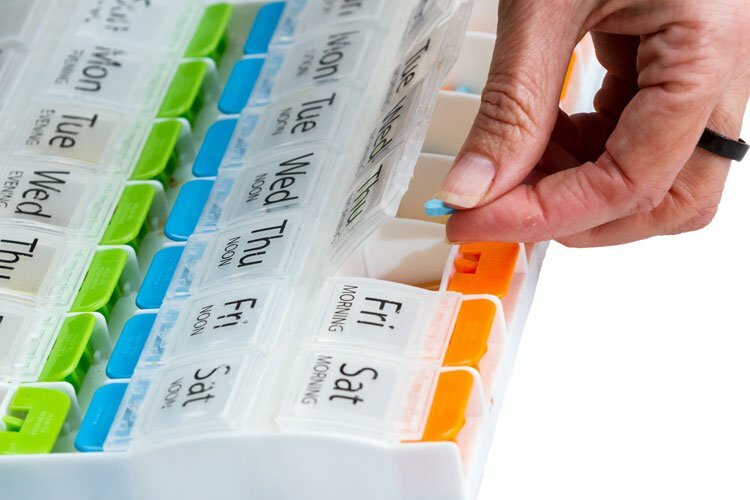 What Are The Different Types of Pill Organizers? 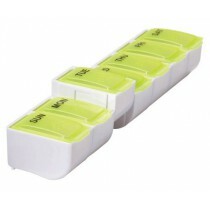 What Utility Do Pill Organizers Have? 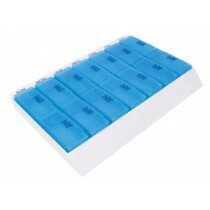 Is There A Need for Pill Organizers/Dispensers? How Are Medication Containers Used? Caregivers also use these medicine boxes to aid in dispensing medications to their patients on a schedule specified by a doctor or pharmacist. These containers serve in several different roles. They store, organize, schedule, dispense, control and provide verification. These roles or functions are discussed on more detail below. 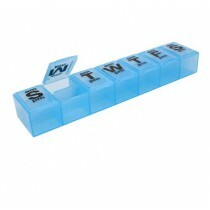 Pill cases offer an easy way to store medications prior to dispensing. Most of these containers offer a compact design that is portable for traveling or just to carry along to the office. 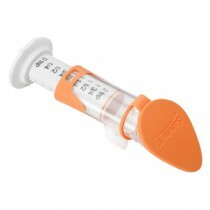 They make it easier for patients to keep pills close-at-hand for when they are needed. 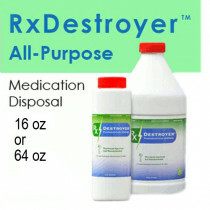 They also provide a quick inventory check of what is available for future dosing. Organizers allow for easier management of what is needed and when. These containers allow patients and caregivers to prepare for future doses. Doses can be assembled into a convenient compartment that provides for easy access and faster administration. 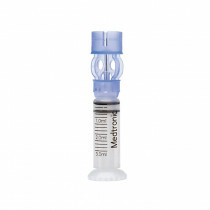 It provides greater structure and order to prevent overdosing or under-dosing. The simple compartment structure of a pill case lends itself to regulate and time administration intervals. Each compartment or pod is labeled with a corresponding period for administration. Newer devices are set up with electronic timers to give notice or alerts to the patient or caregiver when an administration is due. These alerts are accomplished by an audible sound or flashing light or both. These devices signal to the patient when a medication interval has arrived and allows access to the medicine that is prescribed for that particular time. Often referred to as pill reminders, these devices have shown to be useful for patients that often forget to take their medication on time. This management technique delivers medications on-time to patients when they are mandated. Pill pods or containers are locked from access until the right time arrives for their administration. These electronic organizers or e-pill devices work on a timer. The caregiver refills the device and locks the cover. 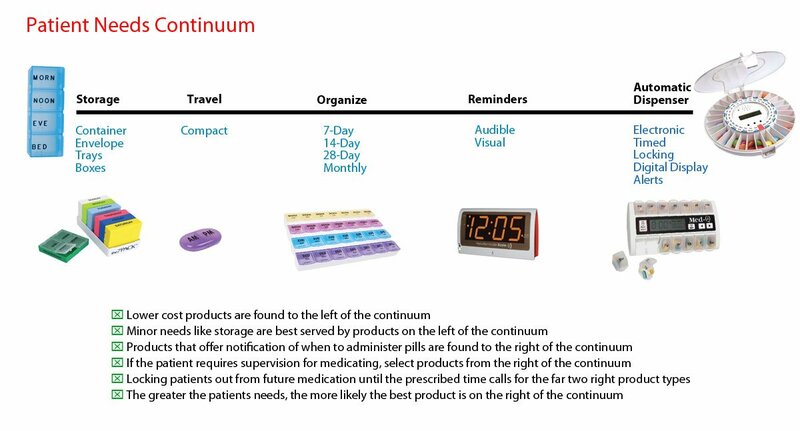 When the prescribed time occurs, the compartment for that period is unlocked, allowing the patient access to the pill compartment for that time period. This device is also setup as a medication reminder with a patient alert system similar to a pill dispenser. These medication control devices have proven very effective in keeping patients medicated on a prescribed schedule. Pill planners or pill schedulers allow for periodic auditing and validation that medications are being taken or administered as prescribed. Just by simply opening the lid to check its’ contents reveals whether the pills have already been taken. An empty compartment is a good signal that the medication has already been consumed. It provides a method of monitoring and tracking to inventory what pills have already been administered and what remains. It provides for easy surveillance and compliance assessment. This method of confirmation provides for better administration management and adherence to prescription dosages. 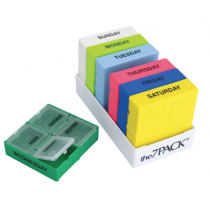 Vitality Medical has an assortment of Pill Organizers, Reminders and Automatic Dispensers for you to select from. 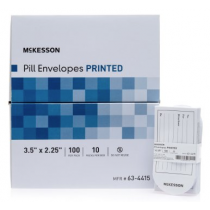 You can choose from Daily, Weekly or Monthly Pill Organizers, and Medication Envelopes to assist you in taking medications on time. 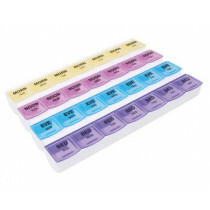 Using a pill organizer is particularly helpful when an individual has trouble remembering what pills to take and when to take them. 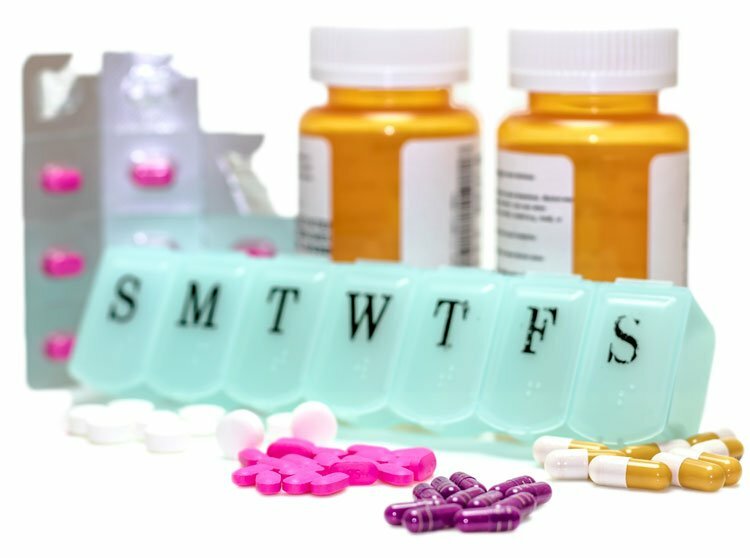 Managing your medications is very important, especially when taking one or more pills several times a day for multiple days. 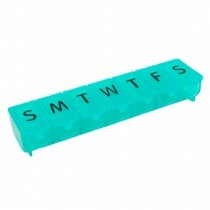 Pill Organizers ensure that medication is administered everyday on time, every time. 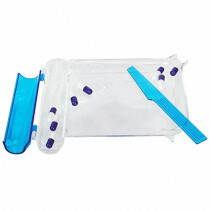 Pill organizer and pill cases makes it convenient and easy to organize your medication regimen and to ensure your medications are taken at the correct time and day. 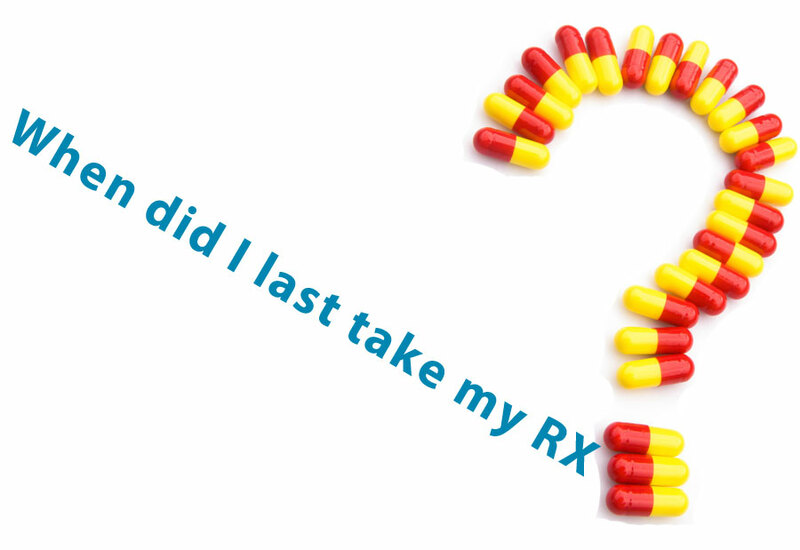 Many individuals take multiple medications and/or vitamins throughout the day. Medication bottles clutter counter space and may be difficult to manage. 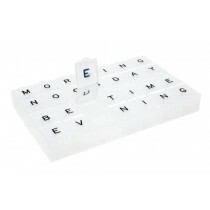 A daily pill case cleans up space and helps you remember when to take the medication. 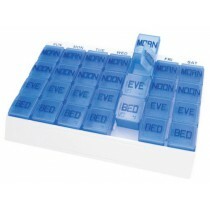 Choose from 7-Day pill cases, including 7-Day Mediplanner designed with slots for morning, noon, evening and bedtime. 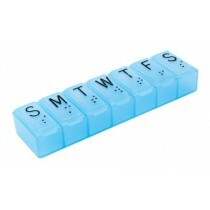 Monthly pill organizers are even possible with customize dosing combinations to meet your needs. 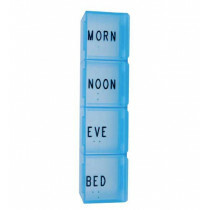 Top Selling Medication Organizers/Dispensers include the Deluxe 1 Week Pill Organizer, Fit and Healthy Organizer, Ambidextrous Pill Counter, the Reminder Rosie, and the One-Day-At-A-Time 7 Day Organizer which is designed with four daily slots for morning, noon, evening, and bedtime. Some products take it a step further and provide notification and locking settings so it will sound an alarm or light up when it's time to take the medication. Modern pill dispensers with automated dispensing combines storage, a timer, a notification system, and a controlled locking distribution system to prevent early dosing or mis-dosing. 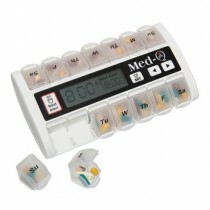 The sales leader for these types of devices is the MedELert Automatic Pill Dispenser. Whatever you need, there are organizers to help you simplify or automate the process. Huang, H. Y., Maguire, M. G., Miller III, E. R., & Appel, L. J. (2000). Impact of pill organizers and blister packs on adherence to pill taking in two vitamin supplementation trials. American journal of epidemiology, 152(8), 780-787. Gross, R., Zhang, Y., & Grossberg, R. (2005). Medication refill logistics and refill adherence in HIV. Pharmacoepidemiology and drug safety, 14(11), 789-793. Napolitano, F., Napolitano, P., Angelillo, I. F., & Collaborative Working Group. (2015). Medication adherence among patients with chronic conditions in Italy. The European Journal of Public Health, 26(1), 48-52. Parker, C. S., Chen, Z., Price, M., Gross, R., Metlay, J. P., Christie, J. D., ... & Kimmel, S. E. (2007). Adherence to warfarin assessed by electronic pill caps, clinician assessment, and patient reports: results from the IN-RANGE study. Journal of general internal medicine, 22(9), 1254-1259. Billingsley, L., & Carruth, A. (2015). Use of technology to promote effective medication adherence. The Journal of Continuing Education in Nursing, 46(8), 340-342. Parra, J. M., Valdez, W., Guevara, A., Cedillo, P., & Ortiz-Segarra, J. (2017, February). Intelligent pillbox: Automatic and programmable Assistive Technology device. In Biomedical Engineering (BioMed), 2017 13th IASTED International Conference on (pp. 74-81). IEEE. Petersen, M. L., Wang, Y., Van Der Laan, M. J., Guzman, D., Riley, E., & Bangsberg, D. R. (2007). Pillbox organizers are associated with improved adherence to HIV antiretroviral therapy and viral suppression: a marginal structural model analysis. Clinical Infectious Diseases, 45(7), 908-915. Wakefield, B. J., Orris, L. J., Holman, J. E., & Russell, C. L. (2008). User perceptions of in-home medication dispensing devices. Journal of gerontological nursing, 34(7), 15-25.